Hello everyone! I'm excited to do this blog post because I've heard SO many girls make comments about how their hair doesn't grow fast. I went to go get my hair done last week and specifically asked my hair dresser what is "the secret" to grow your hair fast and healthy. 1) Make sure your getting the proper nutrients. Whatever you out IN your body will come OUT through your hair. Make sure you are eating healthy. Biotin is B-complex vitamin that is essential for cell proliferation, so that is why Biotin helps your hair grow. You can take biotin in supplement form or you can find it in common foods like eggs, fish, almonds, peanuts, and many others. The recommended amount of biotin is 35 mcg a day. Just keep in mind it will take about 3 months to see results. Keeping your hair healthy will prevent split ends. It's really important to prevent split ends because when you have split ends, your hair isn't really growing. 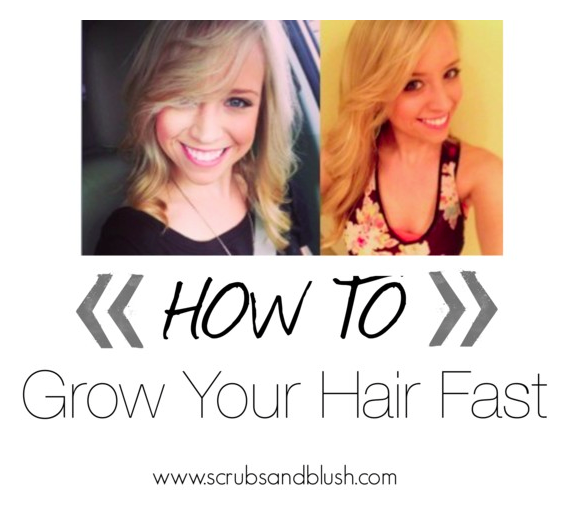 Getting a trim one month- three months will keep your hair healthy and allowing it to grow. Make sure you are not washing your hair everyday. Even if you have oily hair, it's important that you still keep the natural oils in your hair to keep it healthy. Wash your hair every other day to three days and use shampoo in between. Keep your hair conditioned. Use a daily conditioner after shampooing and then a hair mask at least once a week. This is especially important if you like to style your hair with heat. The heat will automatically take moisture out of your hair. Last but not least, use a heat protectant. Also, conditioning will detangle, preventing breakage. These all sound pretty simple, but if you follow all of these tips you WILL see results. Check back tomorrow for Friday Favorites! No i have pretty dull, dry hair. I use conditioner every day, mask once a week, and a hair serum to keep the shine. I now have thin long hair.